Great men are honored on the date of their birth, but since many of those births were recorded using advanced technology like "scrolls", it can be difficult ascertaining just what that date was. Embracing uncertainty by celebrating for an entire month: Jack Daniel's. 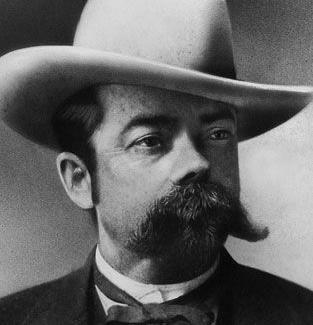 Jack Daniel was born in September 1850 in Lynchburg, Tennessee as "Jasper Newton Daniel". We know that he was fiercely independent, and started making whiskey at a young age using his own special charcoal-mellowing process; we also know that "Mr. Jack" was generous to friends, and was reputed to have seven girlfriends -- a fair indication that many of his friends were also generous to him. What we don't know is the exact day he came into this world -- some say the records were lost in a fire, others that he hid the information in order to stay forever young in an age where botox seemed as unlikely as space travel or central air conditioning. Because we'll likely never get to the bottom of it, the folks at Jack Daniel's encourage Tennessee whiskey enthusiasts to raise toasts throughout the month of September -- and if you're not a Tennessee whiskey enthusiast yet, just scroll with it.